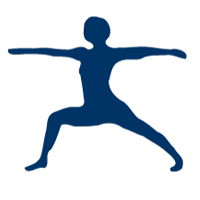 Warrior II focuses on the lymphatic system and the hips and knees. The emphasis on these joints are related to the gall bladder, spleen and stomach meridians. These organs help the lymphatic system by increasing digestion and immune fluid. 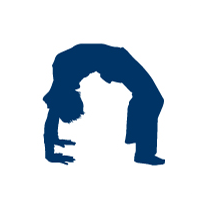 Wheel and other backbends can effectively and sometimes very intensely stretch the stomach and spleen meridians. This pose can help prevent your body from acid reflux, heartburn and other stomach issues. 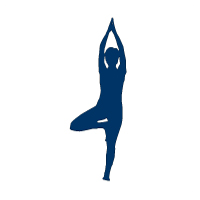 Tree pose is a standard balancing pose that can be adapted based on your skill level. It focuses on the small intestine meridian and increases abdominal circulation. Tree pose can also calm and relax the mind and nervous system, bringing more self-awareness. Contact me to learn more on how yoga and acupuncture can pair together and begin a path to better health! This article was posted in Acupuncture, Wellness and tagged yoga. Bookmark the permalink. Follow comments with the RSS feed for this post. Both comments and trackbacks are closed.